Did any of these cures work for you? I bet that they did not and this is for good reason. These cures are nothing but myths. They have been passed down for years from one person to the next. Why these myths have survived is anyone’s guess. It is definitely not because they work because they surely do not and anyone who has tried them knows they do not work. So, what does work? Well, nothing is going to stop a hangover. 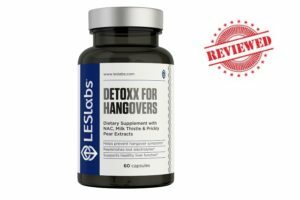 You have to prevent a hangover by drinking less alcohol because drinking more alcohol then your body handles is what causes hangovers. The easiest way to track your alcohol consumption is by using an app but in reality, how diligent are you going to be in using an app. If you’re having a good time, you’re probably going to forget about tracking your alcohol consumption. Drink water in between drinks. When you drink water in between the drinks, you will help to rehydrate your body. Dehydration is one of the causes for hangovers. Don’t drink dark coloured drinks. If you’re sensitive to dark coloured drinks, the natural chemicals in these drinks can cause the hangover to be worse. This is because the chemicals can irritate blood vessels and tissues in the brain. Eat some carbs like toast or crackers. If you eat carbs, you will help bring your blood sugar levels back up in the morning. The food will help to absorb the alcohol and keep you from feeling tired and irritable. Take an aspirin or ibuprofen if your head hurts. However, do not over do it. Taking too much aspirin or ibuprofen can be dangerous during a hangover because your liver is working overtime. Yet, a regular aspirin or ibuprofen will ease the pain of your hangover and will not put you in damage as long as you only take one or two of them. Drink water before you go to sleep. Drinking water before you go to sleep will help hydrate your body while you are sleeping and it will help make that hangover easier to deal with in the morning. Even though the information above will help you ease the hangover don’t expect miracles. The hangover may still be very painful because you simply consumed too much alcohol and your body is feeling the effects of it. Treat your body with care after a hangover and absolutely do not drinks any more alcohol or you will make matters worse. If you have a hangover do not consume more alcohol for at least for two full days and if the hangover is worse, you should avoid drinking for at least seven days.